For Mercury/Mariner EFI Outboards (1988 through 2001). 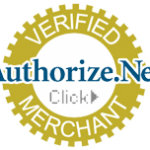 Contact us for custom applications. Customize for special considerations at checkout (revlimit, fuel pressure and elevation). Electronic Control Unit- the brain of your boat motor; controls the air/fuel/oil ratio at all RPMs and loads. Advanced Control Unit because it is more advanced than a stock ECU. What type of motors is the Brucato ACU intended for? Mercury/Mariner EFI Outboards, from 1988 through 2001. 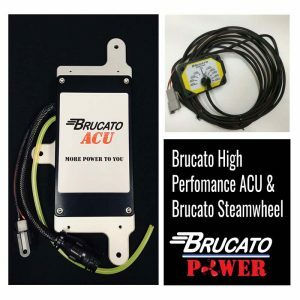 Will the Brucato ACU work on my Mercury motor? What does the Brucato ACU do? The Brucato ACU is a direct replacement for the Mercury ECU. 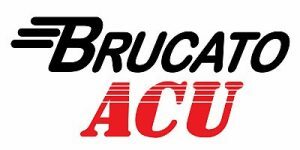 Is the Brucato ACU just for boat racers? The Brucato ACU is for recreational boaters, performance enthusiasts, and racers who want to get back on the water with better performance. Why buy a Brucato ACU? 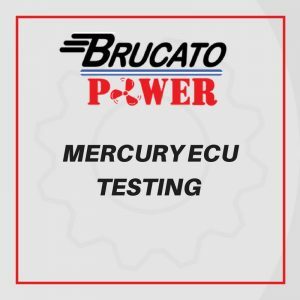 The Brucato ACU will bring your Mercury motor back to life without spending thousands of $$$ on a new motor. 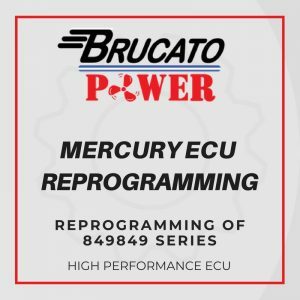 Your 1988-2001 Mercury motor is not obsolete with the Brucato ACU! What to expect from the ACU? Increased fuel economy, improved fuel curve than the stock Mercury ECU, increased horsepower, adjustable revlimiter and customizable tuning. Is the Brucato ACU plug and play? Yes, the Brucato ACU is easy to use, bolts right on and hooks right up in the stock location. How adjustable is it for the user? In most cases, no adjustments will be necessary. 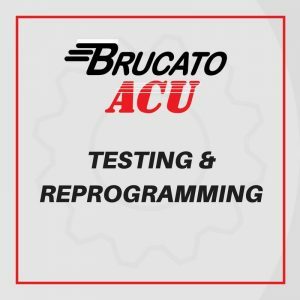 Your Brucato ACU will come preprogrammed with an exceptional fuel curve for your specific application. If desired, most adjustments can be made with a screwdriver on the back of the unit. Optional Software is also available for complete control.